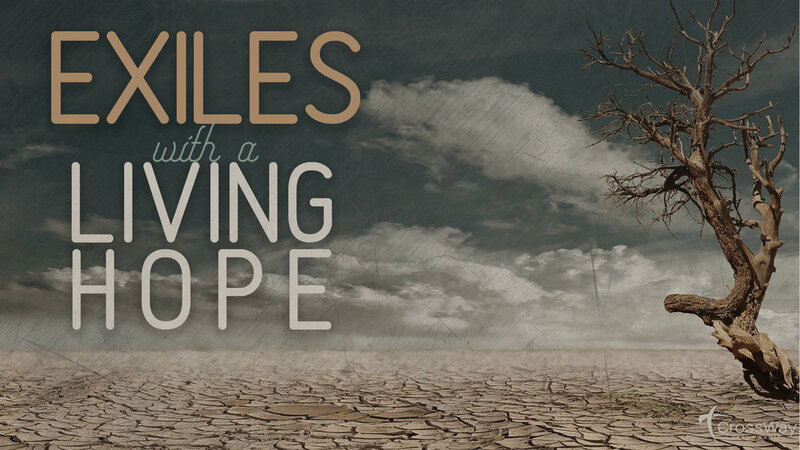 This week we wrap up our sermon series “Exiles” as we look at 1 Peter, chapter 5. Here, Peter exhorts his fellow believers in the midst of trials and persecution, to humble themselves under the MIGHTY hand of God. He reminds us that we are able to cast our cares on the Lord because He truly does care for us. Likewise, we are warned, as we are so easily discouraged, to keep our eyes open for the enemy as he prowls around seeking to destroy us and our testimony. Finally, Peter encourages us in that we are not alone in our struggle! Our suffering is only for a time and it is God himself who will strengthen and establish us. It is true that we can be easily distracted by all that is going on around us, but our God is mighty, and He is able! "Humble yourselves, therefore, under the mighty hand of God so that at the proper time he may exalt you, casting all your anxieties on him, because he cares for you. Be sober-minded; be watchful. Your adversary the devil prowls around like a roaring lion, seeking someone to devour. Resist him, firm in your faith, knowing that the same kinds of suffering are being experienced by your brotherhood throughout the world. And after you have suffered a little while, the God of all grace, who has called you to his eternal glory in Christ, will himself restore, confirm, strengthen, and establish you. To him be the dominion forever and ever. Amen."